Thirsk Racecourse is situated in the wonderful old cobbled market town of Thirsk, North Yorkshire. Renowned for its beautifully maintained paddock, Thirsk Racecourse has an idyllic country charm about it, yet it is a thoroughly modern venue with outstanding facilities. Thirsk is ever popular across the generations and really is suitable for anyone, from the most seasoned racing ‘nut’ to the first time racegoer. We are proud to have been their exclusive catering partners for over 20 years, and are excited to share more with you as they’re our February #VenueOfTheMonth! The first of Thirsk’s 16 meetings! Join them as they kick off the 2019 Flat Season in style as this fantastic season opener will get the racing at Thirsk off to an electric start! After being transferred to Wetherby in 2018, THE THIRSK HUNT CUP IS BACK. A Class 2 Handicap Stakes race run over a distance of 1 mile, has been in Thirsk’s racecard since 1859 and is one of their most popular racedays including live music throughout racing, it’s set to be another fantastic event! A firm favourite in everyone’s diary – Irish Day is back and will be as great as ever. Go along and try out your Irish dancing skills to the live Irish band or head to the James Herriot Hall awash with the Irish colours Orange, Green and White. Get set for another super Saturday when The William Hill Thirsk Summer Cup will be the highlight of Thirsk’s summer meetings. Worth £30,000 in prize money and run over a distance just short of a mile, the Summer Cup has proved a highly competitive race since its introduction into Thirsk’s racing calendar in 2012. In Thirsk’s first ever racing and music event, SCOUTING FOR GIRLS will be performing on stage after a wonderful evening of racing! 10 lucky racegoers will get the chance to win VIP passes to meet the band. For your chance to win, keep an eye on Thirsk’s social media pages for details of how to enter in the weeks ahead, you’ll find the details when you click the ‘book tickets’ button below. Where fashion meets the flat. Put your best shoe forward and join Thirsk for their season finale where vivid colour, champagne bubbles, fantastic fascinators, fashion competitions, live music and fun define this fabulous occasion. The day never disappoints at Thirsk’s most fashionable fixture of the year. The Ladies’ Day Lawn Marquee is the place to be if you are looking for fine food, great atmosphere, trackside viewing, live music and is the perfect package to make your day a truly special one. Read more about this fantastic package in the food package section below. What food package will you pick this year? 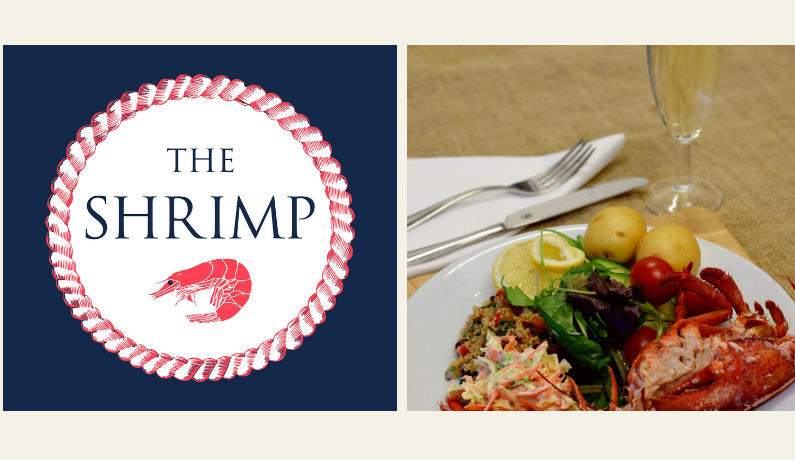 Thirsk’s newest addition, ‘THE SHRIMP’ Premier Bar is situated next to both the Pre-Parade and Parade Ring, placing you in the very heart of the Premier Enclosure. Offering three fantastic Champagne and Seafood Packages, along with a full bar service and private lawned terrace, this is the perfect place to meet up with friends, enjoy delicious food and watch the racing action. 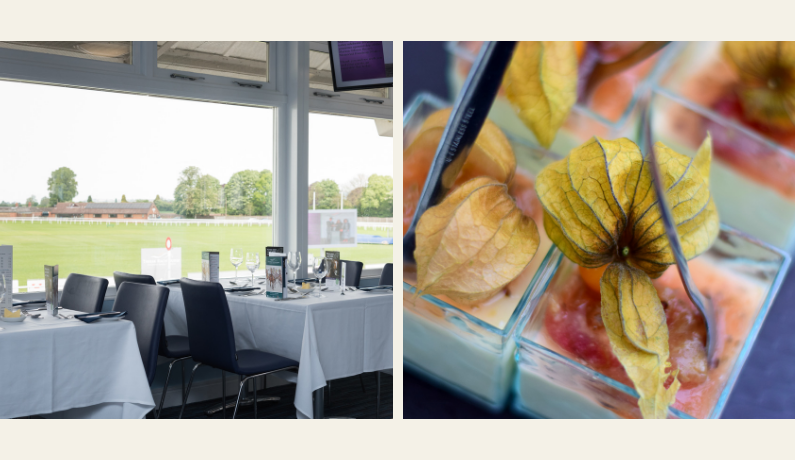 This exclusive premier package is a hugely popular choice among our racegoers and you will be entertained in the beautifully decorated lawn marquee with live music, exquisite food and a close up, track side view of the racing. This Marquee is the place to be on Ladies’ Day, so make your day extra special and book now! As well as: Premier car parking, exclusive Premier Lawn Marquee Entry & Premier Badge, full colour racecard, including form guide, fully seated, trackside Lawn Marquee, Private table/s for every booking (i.e. no shared tables),private cash bar, betting & bookmakers, additional outdoor seating, live music from, The Blackmarcs, private looks. Situated directly opposite the winning post, you can watch the racing action, whilst enjoying a sumptuous ‘Grand Buffet’. With its own Tote betting facility and private loos, this really is a superb choice from which to enjoy a luxury day out at Thirsk Races. The sumptuous Grand Buffet includes delicious seafood, an array of cold meats, fresh salads and breads. There is also a hot carvery (vegetarian dish of the day available on request), followed by luxurious desserts, coffee and freshly brewed tea. Located in the Paddock Enclosure and served from the James Herriot Hall Fish & Chip counter, this brand new, tasty and traditional Fish & Chips Package will keep you satisfied throughout your day of racing. 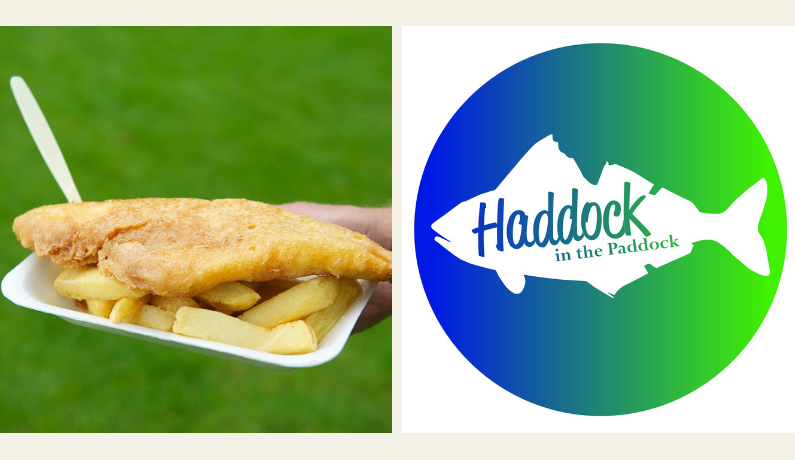 There is nothing more British than Fish & Chips and ‘Haddock in the Paddock’ is set to be a great addition to Thirsk’s Paddock Enclosure Package offering. An enchanting and unique wedding venue, Thirsk Racecourse has everything you could need to make your big day extra special. 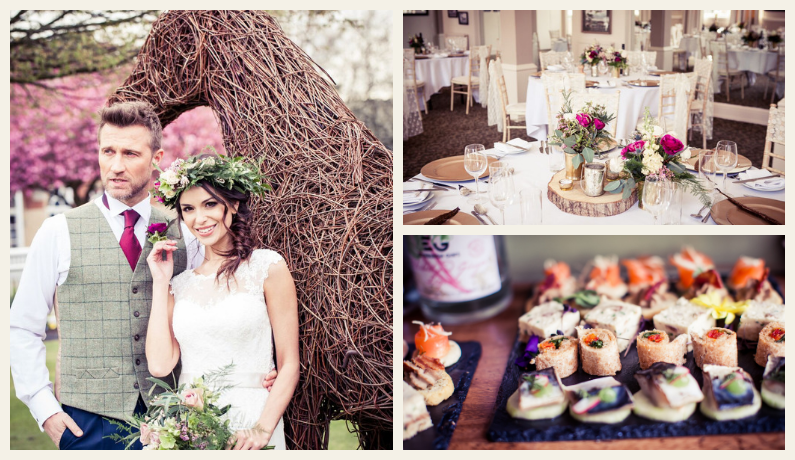 Situated in the heart of North Yorkshire within beautiful grounds and well manicured lawns, this venue is set amongst historic buildings which offer a romantic, fairy-tale backdrop with views across the renowned ‘Herriot Country’. It provides endless photographic opportunities and atmosphere for your wedding day memories.With five stunning and unique ceremony locations, licensed to hold civil ceremonies, are ideal for your wedding celebrations. The newest addition to Thirsk’s wedding venue options is The Chestnut Room, with stunning views over the Racecourse and a wonderful rooftop terrace. There are three packages to choose from to suit your requirements, The Rosedale, The Bilsdale and The Ryedale which are exclusive to Thirsk Racecourse. Built at a cost of circa £1.8m, and with spectacular views over the Racecourse and surrounding countryside, the latest addition to Thirsk’s Racing, Conference and Events facilities is The Chestnut Room. This brand-new suite is available as a first-class wedding, conference and party venue and is now available for bookings. The standalone 4,750 square foot building benefits from floor to ceiling glazing that flood it with natural light, a luxurious interior, TV screens throughout, contemporary bar area, blackout-curtains and full catering facilities. The building also boasts an impressive rooftop spectator terrace offering panoramic views across the Racecourse. 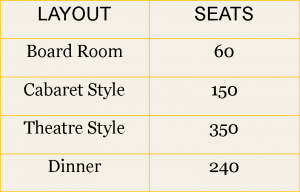 The facility can accommodate up to 240 seated dining guests or approximately 350 people in a theatre style layout. Intrigued to find out more?